Michelle Yeoh in Crouching Tiger, Hidden Dragon: Sword of Destiny. For months, fans have been wondering who the new actors to join the Star Trek franchise may be, and we may now have an answer. 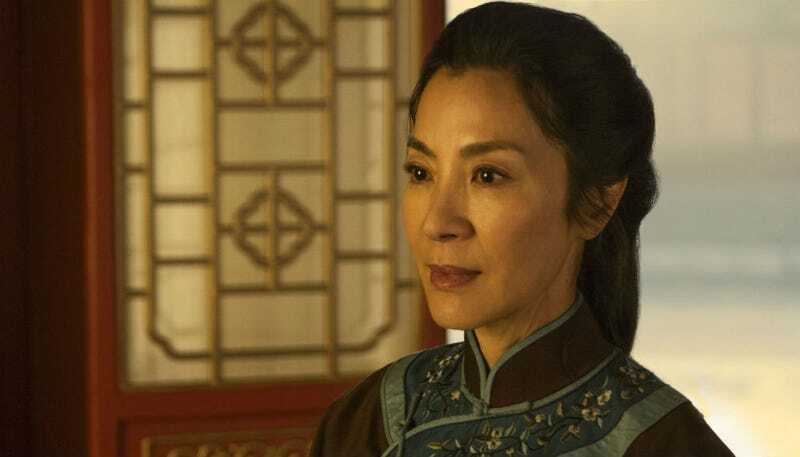 There’s an as-yet unconfirmed report that Michelle Yeoh has been cast on Star Trek: Discovery. The source is Star Trek II: The Wrath of Khan director Nicholas Meyer, who is a consulting producer on the show. “I know Michelle Yeoh is in it,” Meyer told Coming Soon. He wouldn’t say who she’s playing, but it’s quite possible she’s the female lead we know the show will have. CBS, whose All-Access platform will air the show next year, told io9 they had no comment on the news, but that some of the information in the Coming Soon story was inaccurate. They would not say which information. Yeoh is a veteran actress who first became a star in America in the James Bond film Tomorrow Never Dies. She has also starred in Crouching Tiger, Hidden Dragon, Memoirs of a Geisha, and Sunshine. If Yeoh is indeed in the series, this is a great first step for Discovery, which will debut on CBS All Access sometime in 2017.